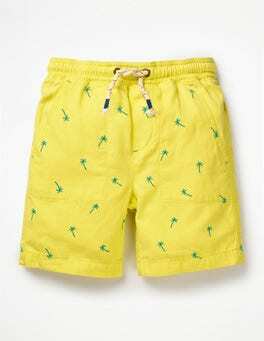 Splashing in streams is what these shorts are made for. Yet they're also easy to pull off when diving in headfirst is far too irresistible. The garment-dyed treatment on the solid colours means they will look fresh no matter how many times they take a dip in the washing machine. This supersoft T-shirt is everyone's favourite – and it’s easy to see why. 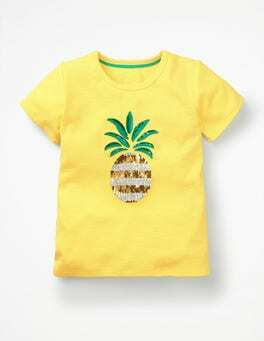 It's made of a 100% cotton fabric (which is perfect for sunny adventures), while the pretty detailing means it can be worn even on smarter occasions. 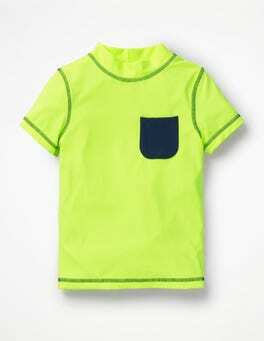 Stand out from the shoal in this short-sleeved rash vest. 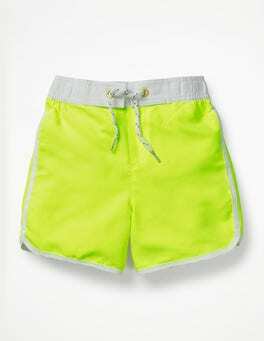 The contrast stitching and neon chest pocket are guaranteed to make a splash at the beach and it has sun-safe properties to protect sensitive skin. 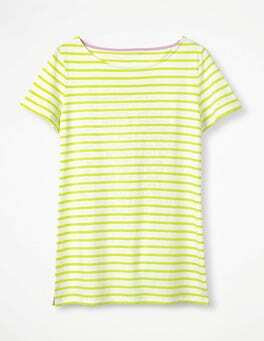 This top goes with bathers and swim trunks like having fun goes with the seaside. 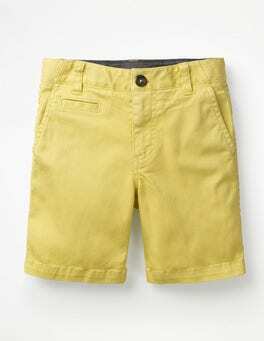 Active explorers will be delighted with our practical style that has a secret pair of shorts underneath, perfect for days spent climbing trees or cartwheeling on the grass. 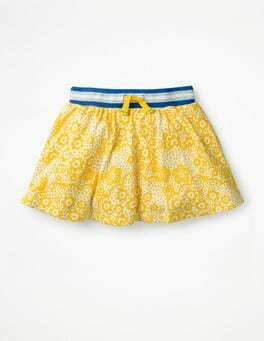 Our cotton jersey skort has an elasticated waistband with a drawstring for an extra comfortable fit. 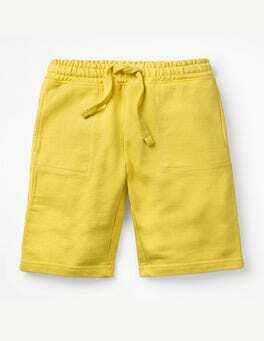 These garment-dyed, pull-on shorts are perfect for lazy days at home or crazy games in the park. 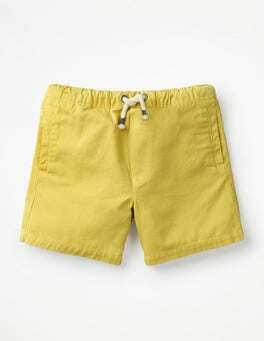 They have a stretchy waistband and chunky drawstring so they're easy to put on, and soft jersey fabric you won't want to take off. 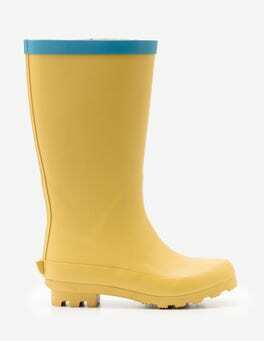 Our fun wellies are perfect for beach adventures and muddy puddles alike. With printed linings, they coordinate with our outerwear range and have sensible grippy soles. 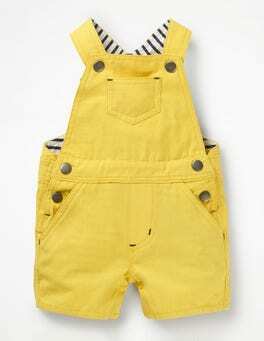 They look great with shorts and can help keep jeans clean; just tuck them into the wellies and start splashing. Behold this shift dress: a contemporary take on a classic. The embroidery may have been designed in London but the light linen makes it ideal for trips around the world. 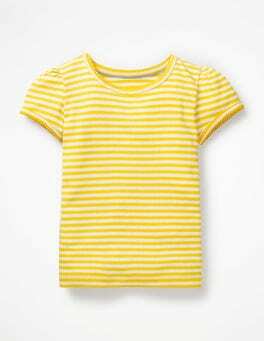 It's crafted in a flattering, loose-fit shape with a sunshine-worthy notch neckline and capped sleeves. Oh hey there, chameleon. This comfortable T-shirt is not all it first seems, with sequinned graphics on the chest that change colour (yes, really). Short sleeves and lightweight jersey cool things down on hot days. It's one in cha-million. …thought a stripy top couldn’t get any better, along came this one with sequins, fluttery or appliqué details. 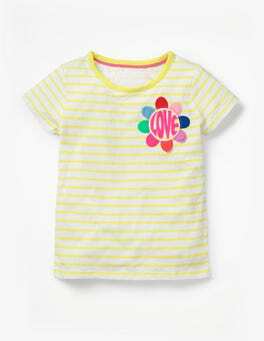 It still has the classic Breton stripes, but with added glitter and fun graphics. Short sleeves and lightweight jersey fabric makes this just the thing for beachcombing in the sunshine. 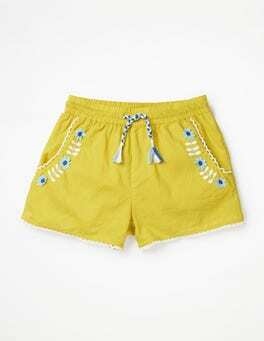 We've found the recipe for the perfect summer's day: just add sunshine, water and a pair of these brightly printed shorts. 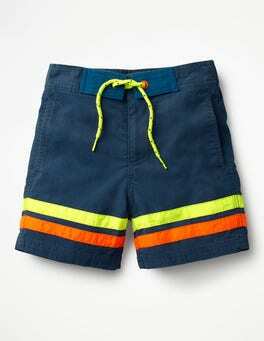 With an elasticated contrast waistband for comfort and a drawcord for a secure fit, they will stay put when playing beach games or splashing into the sea.